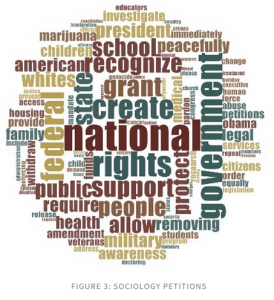 DASIL’s “We the People” data explorer allows users to search petitions based on subject—civil rights, economics, and defense, to name a few. 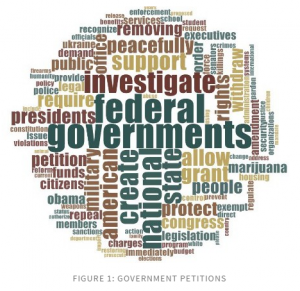 My previous post about “We the People” briefly examined government responses to petitions but did not consider their subject. 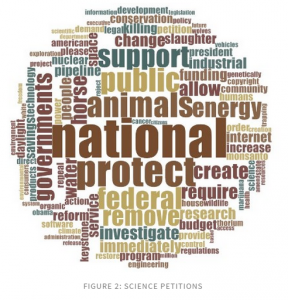 This analysis expands on that post by grouping together petitions with similar subjects into three broad categories: Government, Science, and Sociology. 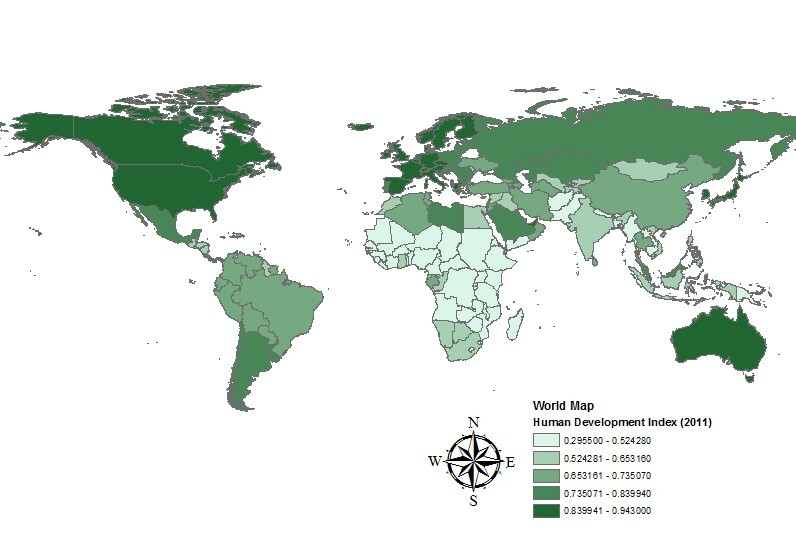 The government category includes subjects like “Budget and Taxes” and “Defense,” science includes “Technology and Telecommunication,” “Environment,” and sociology includes “Disabilities,” “Education” and “Poverty.” I only included petitions with over 5,000 signatures in my analysis to limit the number of results.